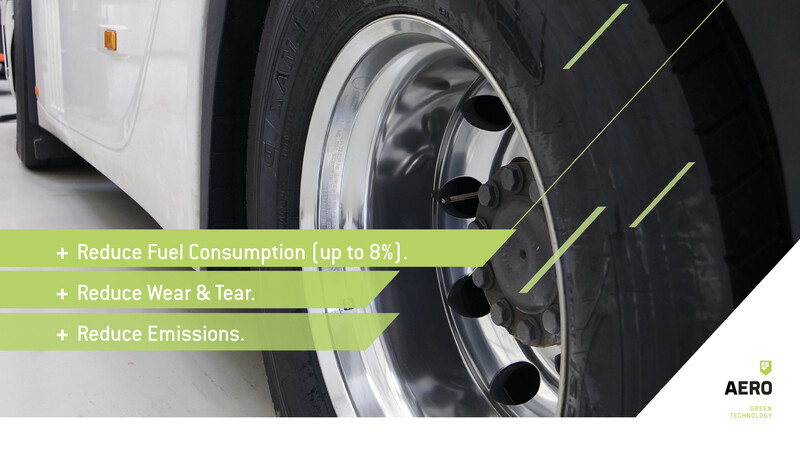 We offer the best available selection of special lightweight low friction aluminium rims, low-friction tires & oils for reducing the overall weight & friction, which leads to a reduced fuel consumption of the vehicle. 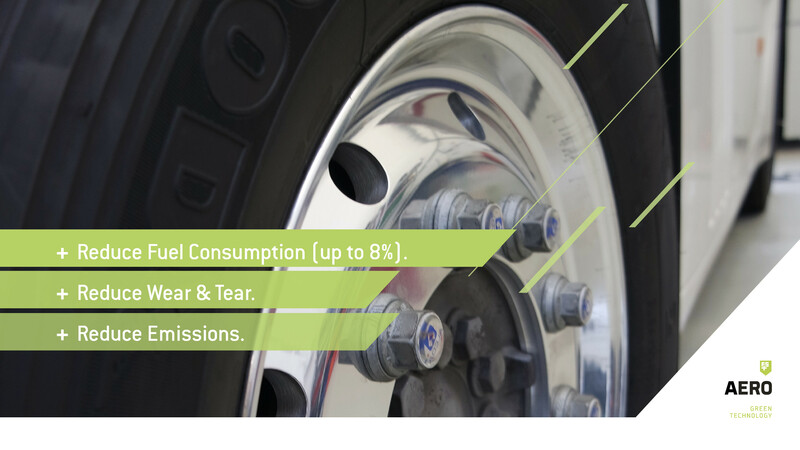 In average reduction of diesel consumption by 8% (2% + 5% + 1%) saves an average truck with 150,000 km annual mileage approximately 4,000 euros – every year! FS AERO+ is not only economically attractive but also reduces emissions by lower fuel consumption. This makes your business more environmentally friendly. The investment in FS AERO+ pays for itself through the savings in fuel consumption usually within the first 18 months.